Indian Cinema is more synonymous with Bollywood than the various other films that are made in the other languages that are popular in our country. This, however, has not stopped cinema from other languages and non-commercial cinema from blooming and carving their own niche. Many directors have brought such accolades to the country through parallel cinema, and one such filmmaker is Shyam Benegal. Shyam Benegal was born in Trimulghery, a place near Secunderabad in Andhra Pradesh. He was born on 14th December, 1934 in a Konkani speaking family. He made his first film at the age of 12, and he did his graduation and post-graduation in Economics from Osmania University’s Nizam College. He later went on to establish the Hyderabad Film Society at Nizam College. Shyam Benegal’s paternal and Guru Dutt’s maternal grandmothers were sisters, making the two great filmmakers relatives. Benegal started his career as a copy writer for an advertising company based in Bombay, called Lintas Advertising Agency. He went up to the post of Creative Head in the company. His first proper film was a Gujarati documentary called ‘Gher Betha Ganga’. He then shifted to another company called Advertising, Sales and Promotion. While he was working in the world of advertising, he made nearly 900 documentaries and advertisements. He also taught at the Film and Television Institute of India in Pune and was the chairman of the institute between the period of 1966 and 1992. One of his famous documentaries is ‘A Child of the Street’, and this is just one among the 70 documentaries and short films that he has made. Shyam Benegal is married to Nira Benegal and has a daughter Pia, who is a fashion designer. 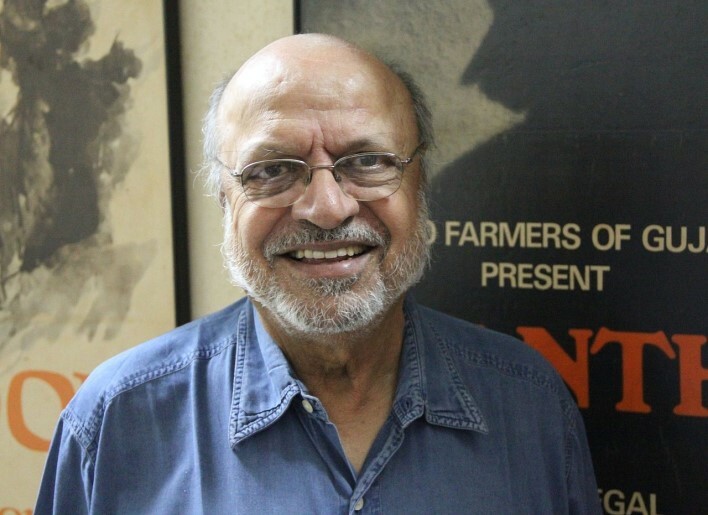 Shyam Benegal is known for kick starting a revolution unprecedented in Indian Cinema. He is considered as the father of the genre of parallel cinema in India, which he often terms as alternate or new cinema, and which is globally recognized as Indian New Wave Cinema. His first feature film ‘Ankur’, starring Shabana Azmi, catapulted him to instant fame by getting him a National Award. The film was about exploitation, sexual and economic, that was prevalent in Andhra Pradesh. He then went on to make ‘Nishant’ about the atrocities committed by Zamindars and how the authorities turn a deaf ear to the pleas of the poor. Later he made the one-of-a-kind film ‘Manthan’ where lakhs of farmers contributed Rs. 2 each, turning effectively into the producers of the film. The film was about the dairy industry in Gujarat. Another crowning glory of Benegal’s career was ‘Bhumika’ that starred the legendary Smita Patil, and this was a film about a famous Marathi actress. Benegal did not look back and kept on creating magic with his sensitivity towards the society and his penchant towards documentaries. His entry into mainstream cinema was ‘Zubeidaa’, a biographical film starring Karishma Kapoor that features songs composed by A. R. Rahman. Benegal has won seven National Awards for his services to the nation through his documentaries and he was awarded the Padma Shri and Padma Bhushan in 1976 and 1991 respectively. He also won the Dada Saheb Phalke Award in 2005 for Lifetime Achievement in Cinema.